Both mutes are customized to fit the shape of a Steinway D's interior. There is a layer of wood, followed by a layer of foam padding, topped by a layer of red felt (red, to match the inside of the piano!). 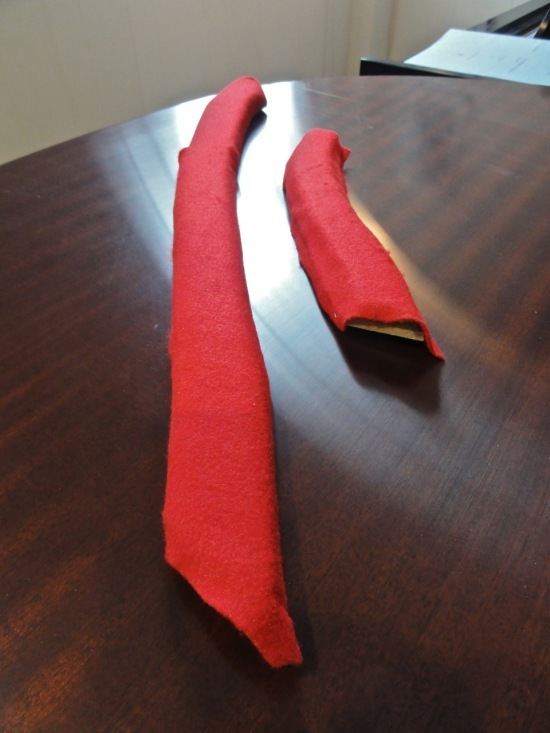 The longer mute is sliced in half (apart from the final layer of felt) to accommodate for the slight curvature of the piano's sound board. We made weights by taping heavy washers together. The weights attach to the mutes with Velcro; this way we can easily secure the weights to the mutes after inserting the mutes in the piano. 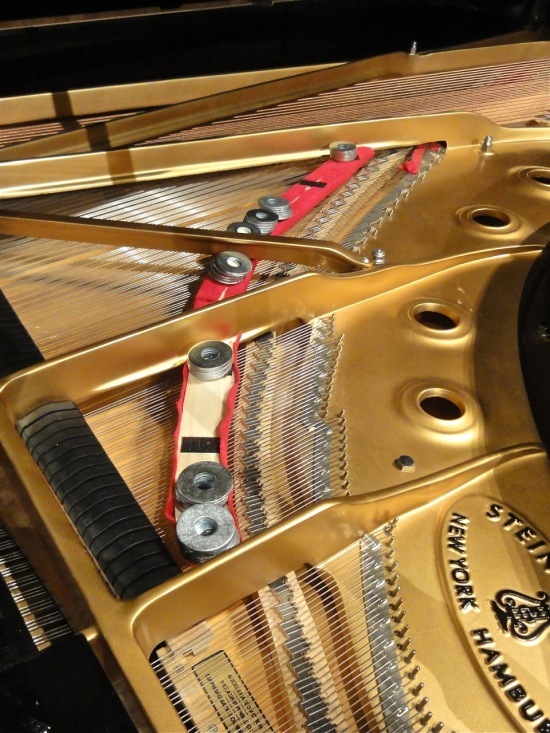 Since every Steinway D piano is ever-so-slightly different, we position the weights differently on every piano. Sometimes we squish the end of the longer mute under the iron brace for added "muteage." Newer PostNPR'S Song of the Day!